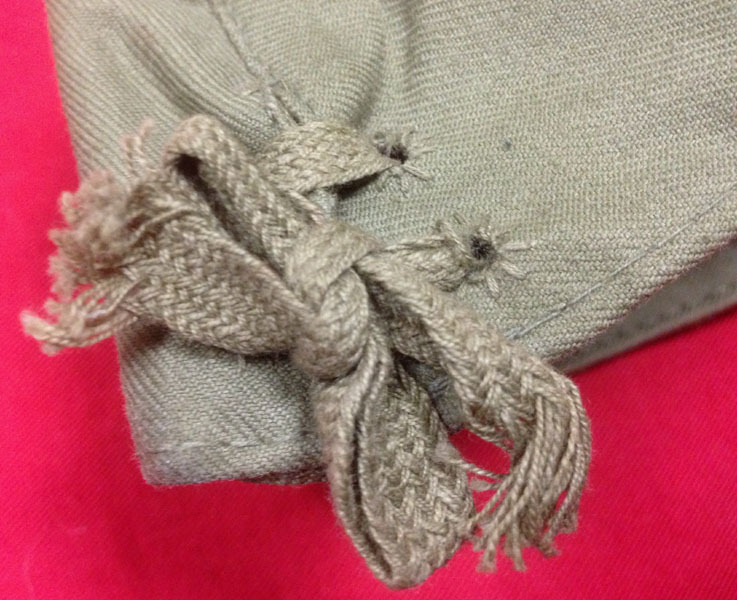 Japanese naval enlisted mans late model side cap. 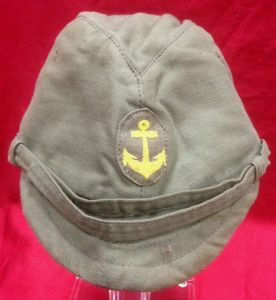 Olive drab canvas cap with machine embroidered yellow anchor to front. 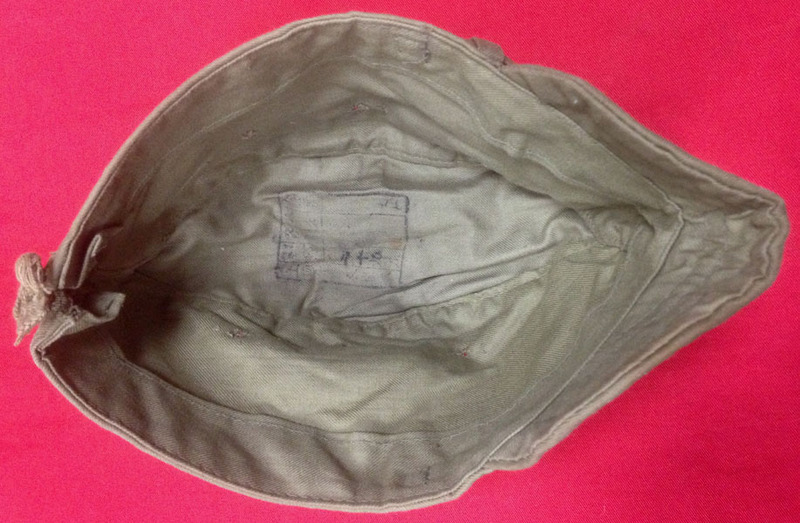 Complete with canvas chin strap and tie strings to back. 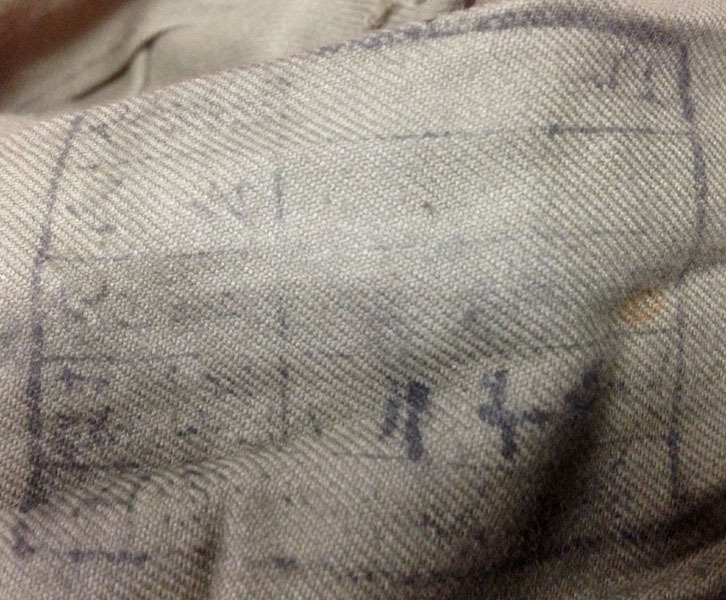 Inside of cap has a rectangular ink stamp with Japanese characters.